This paper presents a new approach to the problem of designing Radial Basis Function Neural Networks (RBFNNs) to approximate a given function. The presented algorithm focuses in the first stage of the design where the centers of the RBFs have to be placed. This task has been commonly solved by applying generic clustering algorithms although in other cases, some specific clustering algorithms were considered. 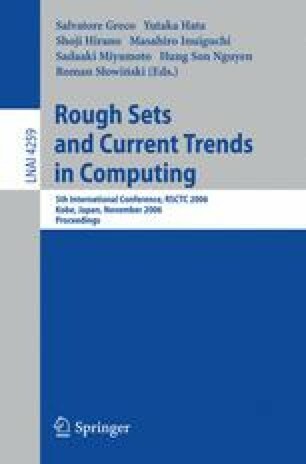 These specific algorithms improved the performance by adding some elements that allow them to use the information provided by the output of the function to be approximated but they did not add problem specific knowledge. The novelty of the new developed algorithm is the combination of a fuzzy-possibilistic approach with a supervising parameter and the addition of a new migration step that, through the generation of RBFNNs, is able to take proper decisions on where to move the centers. The algorithm also introduces a fuzzy logic element by setting a fuzzy rule that determines the input vectors that influence each center position, this fuzzy rule considers the output of the function to be approximated and the fuzzy-possibilistic partition of the data.